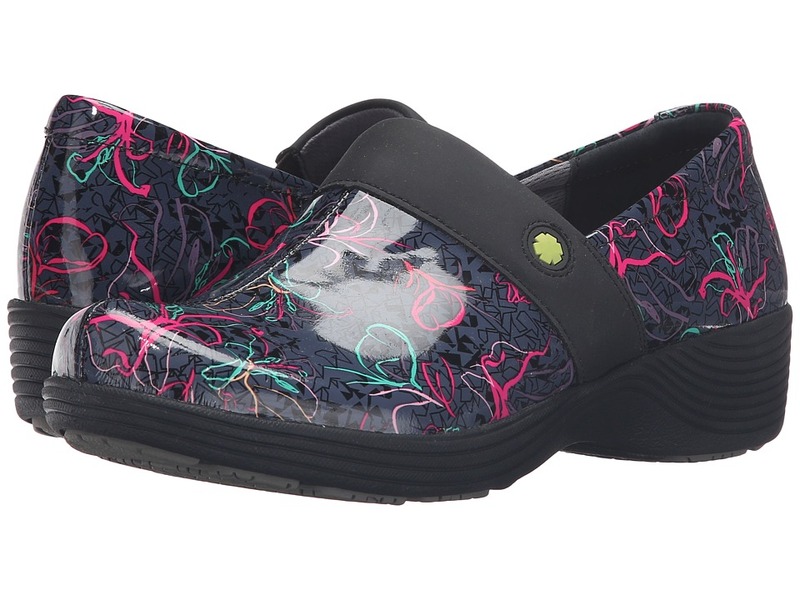 The Camellia is part of Work Wonders by Dansko. 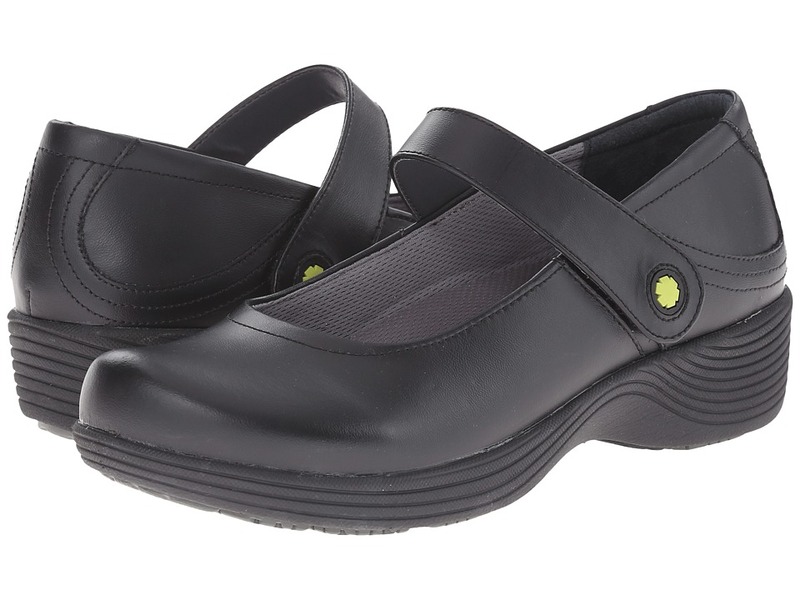 Stay light on your feet during those long workdays with the Camellia. Available in a variety of leather uppers with smooth clean finishes and natural irregularities removed. Easy to maintain and can be wiped clean with soap and water. Mesh lining with Aegis Microbe Shield and Cleansport NXT organic odor control. Non-allergenic, synthetic foam footbed absorbs and evaporates perspiration. Protective Polyethylene heel counter allows the heel to move up and down when walking. Also provides lateral stability and acts as a natural shoe horn. EVA midsole provides lightweight shock absorption. Non-marking rubber outsole. Tested for dry, wet, and oily/wet indoor surfaces. Imported. Measurements: Heel Height: 1 1 4 in Weight: 10 oz Platform Height: 1 2 in Product measurements were taken using size 39 (US Women~s 8.5-9), width Regular. Please note that measurements may vary by size. Weight of footwear is based on a single item, not a pair. The Clover is part of Work Wonders by Dansko. When a long shift is imminent, let the Clover carry you so you can stay focused on the task at hand. Durable and easy to clean leather uppers in a mary jane silhouette. A hook-and-loop closure allows for easy on-and-off wear and a secure fit. Mesh linings feature Aegis Microbe Shield and Cleansport NXT technology for moisture-wicking and odor control. 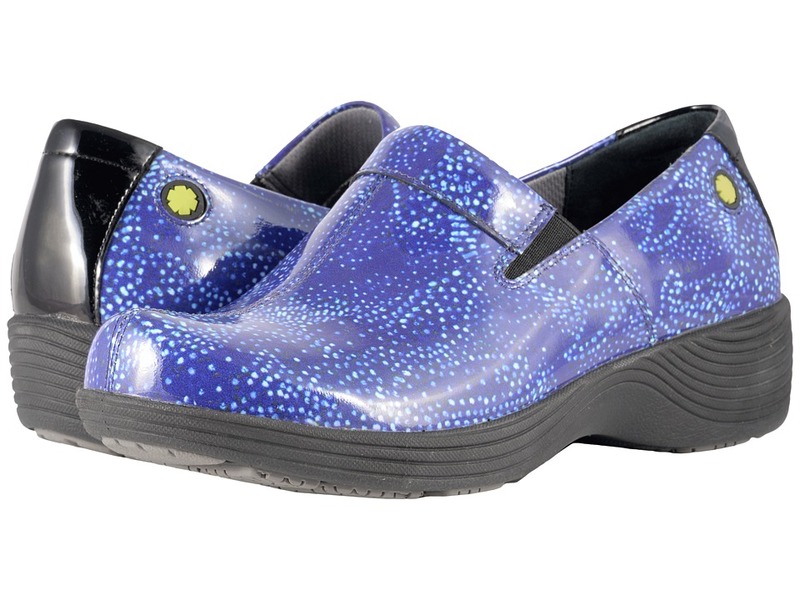 Features a removable PU foam footbed for all-day comfort. Accommodates most orthotics. Lightweight EVA midsole aids in shock absorption and provides added support. 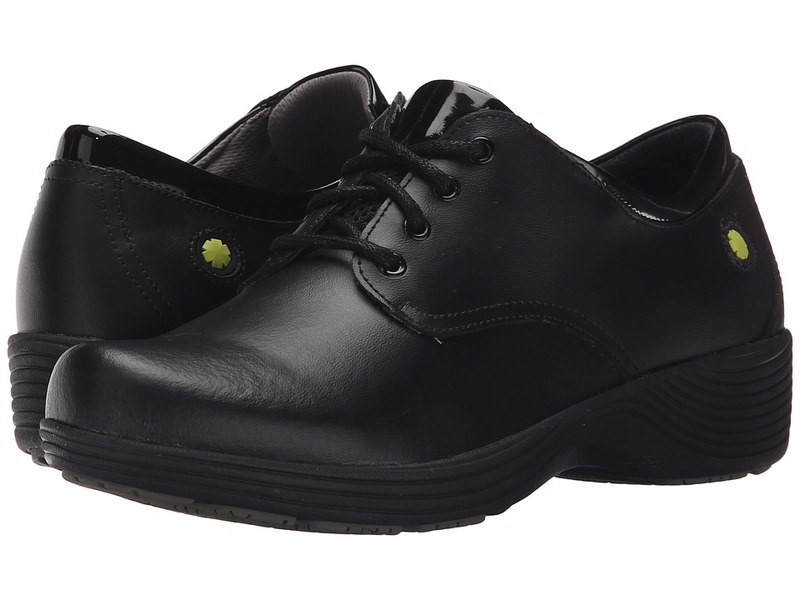 Durable, non-marking, and slip-resistant rubber padded outsole. Tested for dry, wet, and oily/wet indoor surfaces. Imported. Measurements: Heel Height: 1 1 4 in Weight: 10 oz Platform Height: 1 2 in Product measurements were taken using size 39 (US Women~s 8.5-9), width Regular. Please note that measurements may vary by size. Weight of footwear is based on a single item, not a pair. 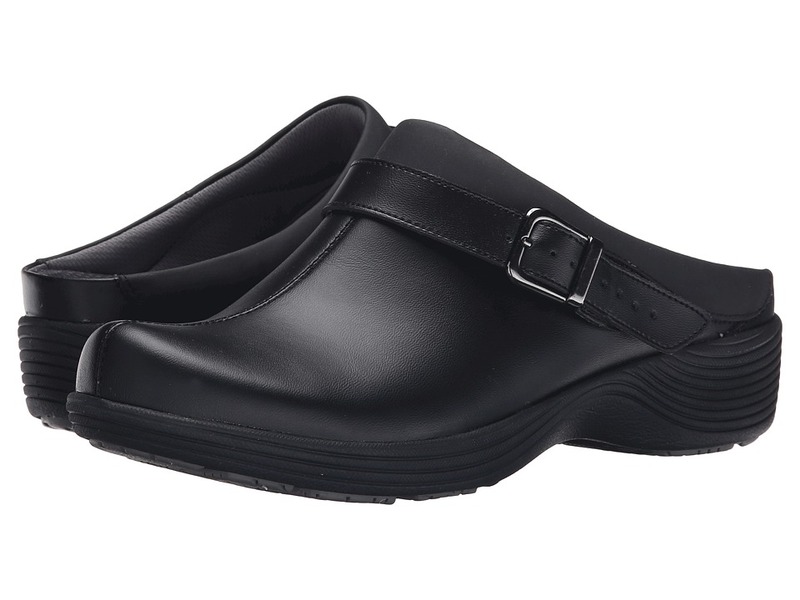 Make the choice to be comfortable during those long days with the Work Wonders by Dansko Carnation by Dansko. Durable leather upper. Easy slip-on style. Aegis Microbe Shield and CleansportNXT- treated lining for odor control. Removable polyurethane foam footbed is shock absorbent, provides energy return and accommodates orthotics for a customized fit. Lightweight EVA midsole reduces fatigue, absorbs shock and adds support. Non-marking rubber outsole provides maximum traction on varied surfaces. Measurements: Heel Height: 1 3 4 in Weight: 15 oz Platform Height: 1 2 in Product measurements were taken using size 40 (US Women~s 9.5-10), width Regular. Please note that measurements may vary by size. Weight of footwear is based on a single item, not a pair. Get your workday started on the right foot with the comfortable and reliable Cosmos oxford. Easy to clean premium leather uppers. Traditional lace-up closure for a secure yet adjustable fit. Features breathable and moisture wicking linings treated with Aegis Microbe Shield and Cleansport NXT for organic odor control. Removable PU foam footbed aids in shock absorption and accommodates most orthotics. A lightweight, anti-fatigue EVA midsole offers added support. Slip-resistant and non-marking rubber outsole for superior traction control. Tested for dry, wet, and oily/wet indoor surfaces. Imported. Measurements: Heel Height: 1 in Weight: 10 oz Product measurements were taken using size 38 (US Women~s 7.5-8), width Regular. Please note that measurements may vary by size. Weight of footwear is based on a single item, not a pair.